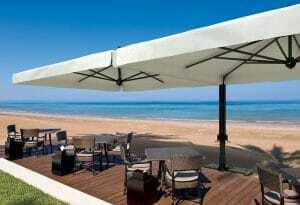 Back to category: Branded Parasols: 5-6 Week Lead Time. 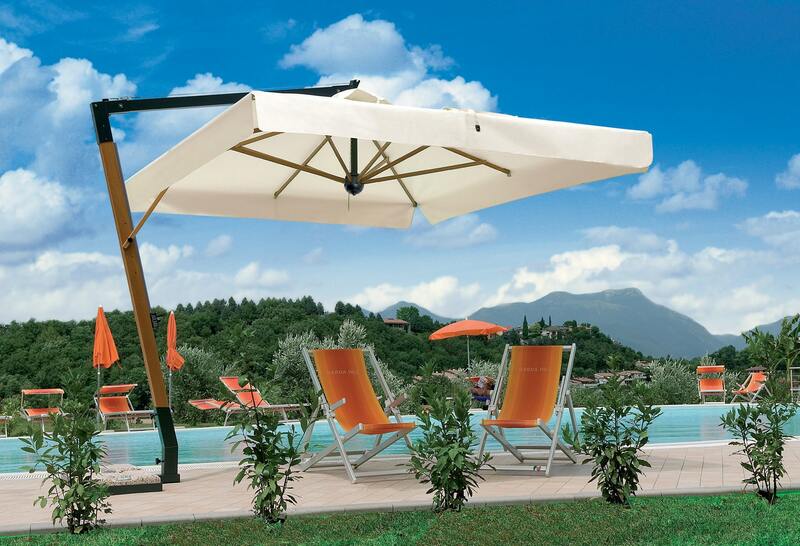 Our premium Über Wooden Cantilever printed parasols offer a modern twist on a classic. 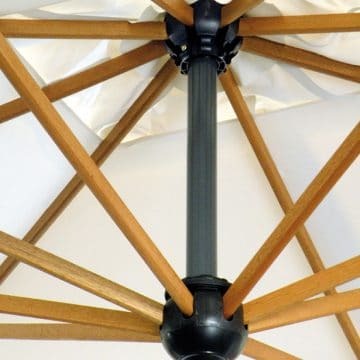 Wooden parasols exude class, style and sophistication. 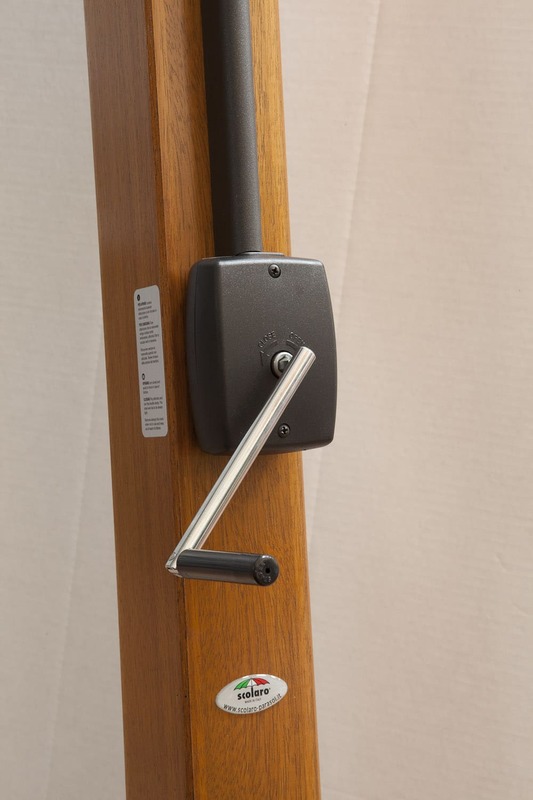 We have combined the wooden look but with ultra-strength and optimum durability. 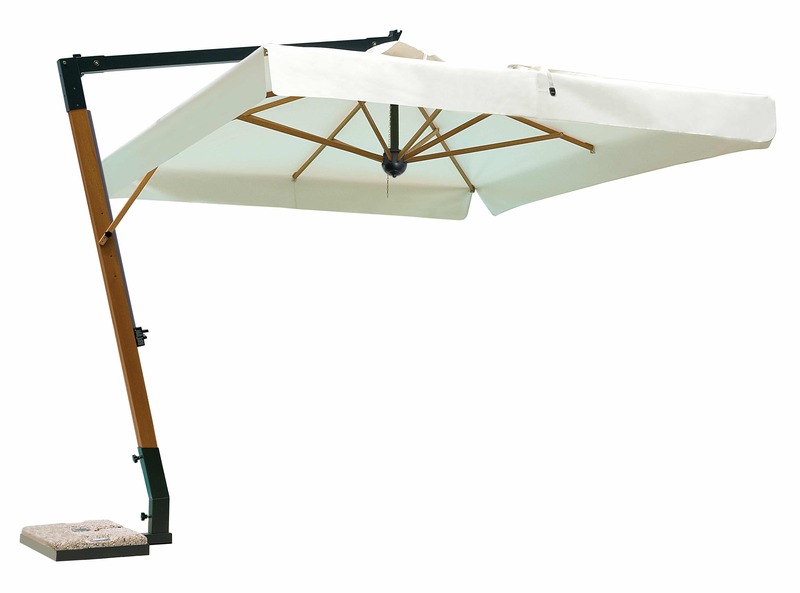 Our premium wooden printed parasols utilise hardwood ribs with an aluminium side post and support arm with a seriously realistic wood finish. 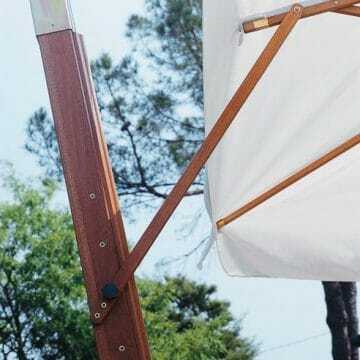 The side post comes with an epoxy coating designed to emulate real wood but harnesses the strength and durability of aluminium. 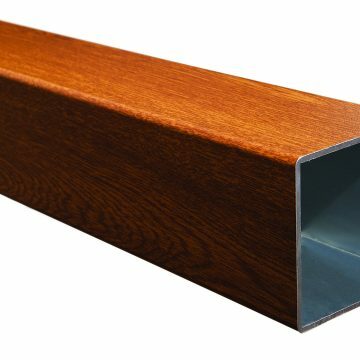 The aluminium side post comes with a support arm offers incredible strength and measures a sturdy 92mm x 92mm. 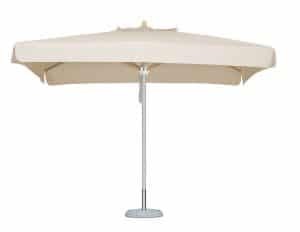 Whilst aluminium is lightweight, it ensures that these printed parasols have excellent longevity, something wooden framed parasols struggle with. 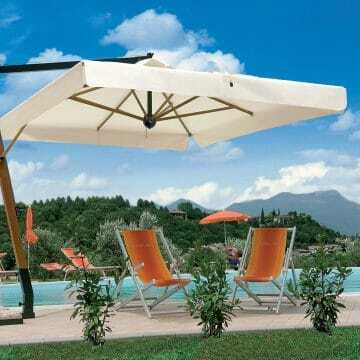 You get the added benefit of ultra strength which is vital if you are looking for large side hanging branded parasols. 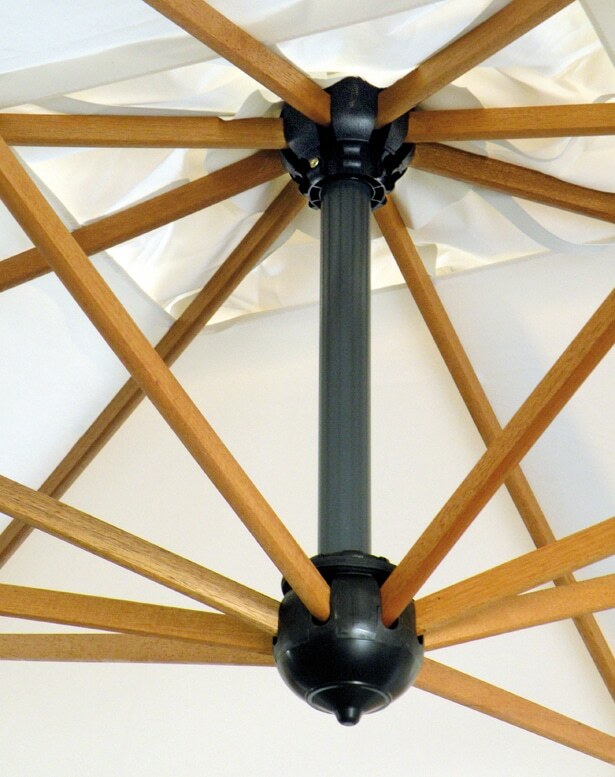 The wood effect finish then provides that classic feel, without sacrificing durability. 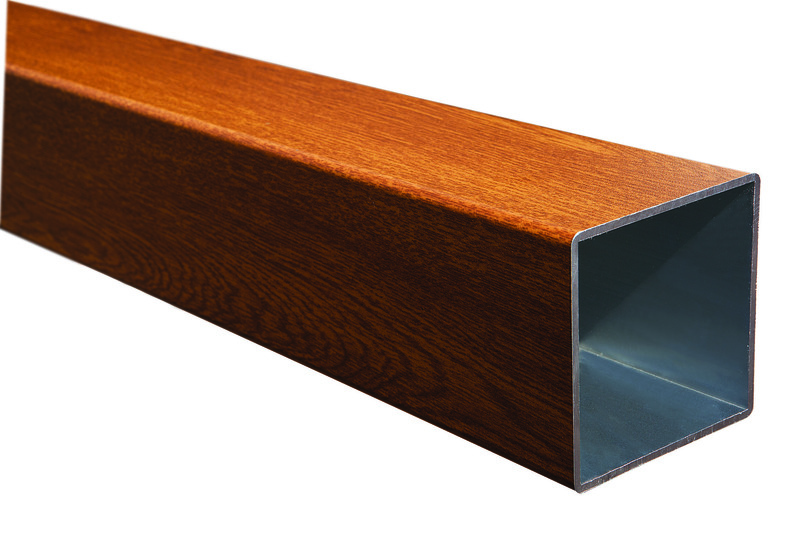 The 8 fully interchangeable iroko wood ribs measure 18mm x 34mm providing excellent strength. Iroko wood (also known as African Teak) is a hardwood and is extremely durable. 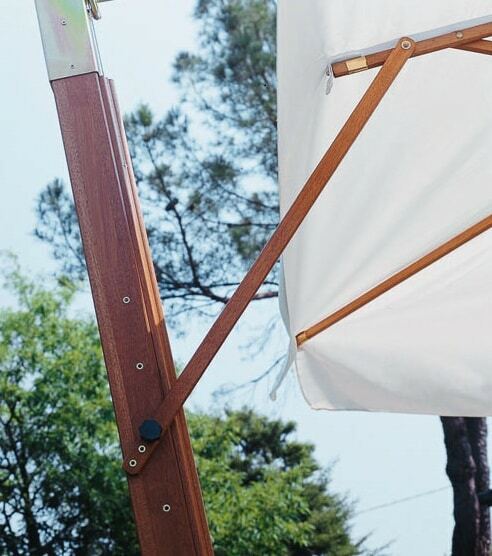 Ideal for outdoor furniture as it weathers minimally. The wood is both varnished and treated for optimum longevity. 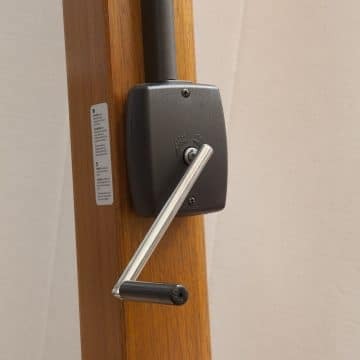 Plus you have the reassurance that if they ever do break then we provide replacement ribs and components within 7 days. 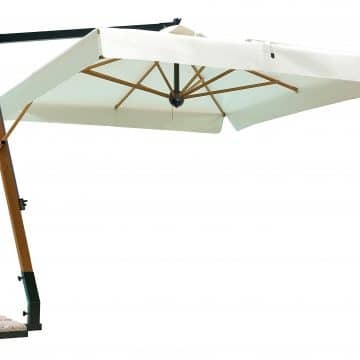 The Über Wooden Cantilever printed parasols are part of our premium Über Brolly range which guarantees premium quality and durability. You can be assured for the best materials, components and finishes for a luxurious and high end product.